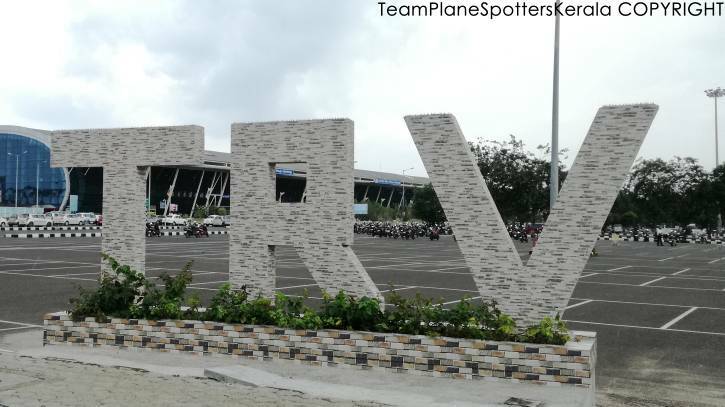 Thiruvananthapuram, August 1, 2017: Trivandrum International Airport becomes India's first and the world's second airport to display an IATA airport code structure 'TRV'. The IATA airport code is three letter code (location identifier) designating the airport, defined by the International Air Transport Association (IATA). The Code has been created at Trivandrum International Airport by Plane Spotters Kerala, a group of aviation enthusiasts in association with Trivandrum airport authorities. The structure is 14 feet high and has been decorated with LED lights. Los Angeles airport is the only airport in the world other than Trivandrum to have the IATA code displayed like this.